Several people up here at the Till & McCulloch Stem Cell Meeting in Banff have asked who is going to be the winner of the 2013 Stem Cell Person of the Year Award. The winner will be announced on Tuesday, October 29th. As many of you know we have 12 finalists chosen by an Internet vote from 30 original nominees. Since the vote ended I’ve been doing what I am accustomed to doing most of my life it seems: research. I’m learning more about all of these dozen high impact stem cell folks. In addition, I have privately asked each of them who they would pick if not themselves. Their answers have been intriguing. 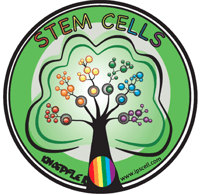 I have also contacted some of the top stem cell people in the world about who they would pick. A few did not answer, but many did and some specifically said who I should not pick for various reasons. In the end I will pick the winner and of course be solely (and happily) responsible for the choice.